What is LZZG Filter Press? 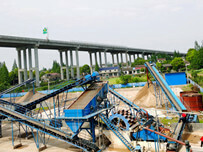 LZZG filter press is a piece of sludge dewatering equipment that separates liquids and solids using pressure filtration. 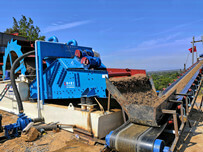 When working slurry is pumped into the filter press and dewatered under pressure. The filter press is supplied for a wide application in municipal & industrial industries. Feed mud concentration always be 30%-40%, then mud will become mud cake and the humidity is around 20% after processed by the filter press. 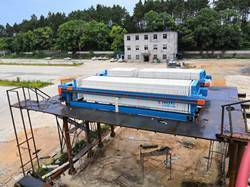 LZZG filter press is a kind of Plate and Frame Filter Press, we also provide Belt Filter Press. The 8 main components of a filter press: Hydraulic Station(Hydraulic Systems), Cylinder, Pressing Plate, Beam, Filter Plates, Push Plate, Filter Cloths, Filter Press Pump. The terms used to describe the components may vary slightly from different manufacturers, but the main function still remain the same. 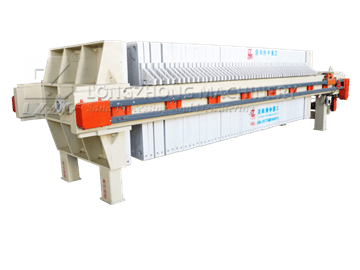 LZZG is the manufacturer of filter presses, any question inquiry us. How Does Filter Press Work? 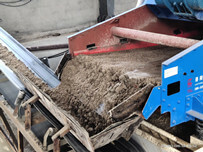 Slurry is pumped into the filter press, the mixture flows through the filter medium (filter cloth), the solids stay on the filter cloth, forming filter cake; the filtrate exits the filter plates through the corner ports into the manifold, If it is not wanted the filtrate can be drained away for safe disposal. Filter presse is a pressure filtration method, when filter press feed pump builds pressure, solids build up in chambers until they are completely chock-full of. Once the chambers are full of solids, a cycle is over and the filter cakes will release. 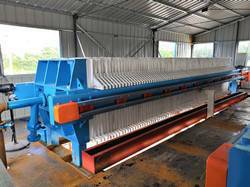 Our plate and frame filter presses are designed for bad environment such as mines or chemical manufacturing plants, which can 24-hour operation. 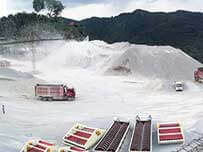 Filter plates are high strength, light weight, corrosion resistance, acid and alkali, non-toxic and tasteless. The frame rack is high strength, stable structure, long service life. Automatic pull plate, liquid automatic access, operation panel is simple and safe, high degree of automation. Hydraulic system is used as the power unit, the maximum pressure is 25MPa. More About Filter Press You May Consider? How to install filter presses? How to select belt press and filter press?